SSN School of Management, Kalavakkam has announced the MBA admission for the academic year 2018. Founded by Dr. Shiv Nadar, Chairman, HCL Technologies, SSN School of Management is a part of SSN Institutions. It offers MBA programme affiliated by Anna University, Chennai. 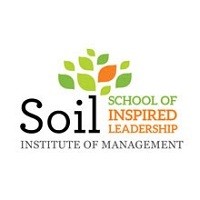 The B-School is approved by AICTE. 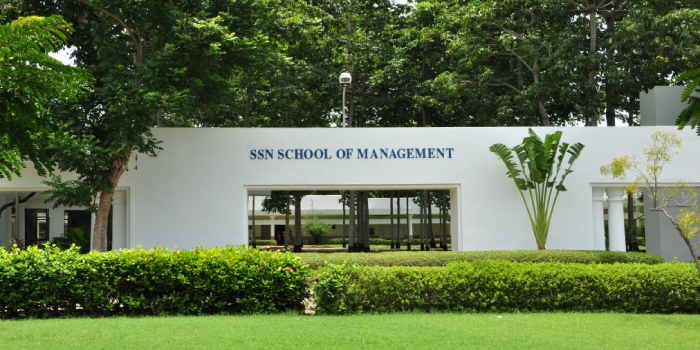 Careers360 brings to you the admission notification of SSN School of Management, Kalavakkam. Candidates can apply in either offline or online mode. The application fee is Rs. 950. Candidates should be graduates in any discipline from a recognised institute/university with minimum 60 percent aggregate marks. Candidates should have above 60 percent aggregate marks in Class X and XII with consistent academic record. Note: Marginally lesser scores in admission tests may be accepted if past academic record is good and consistent. Your SSN School of Management, Kalavakkam brochure has been successfully mailed to your registered email id .